How To Bring your Laotian Fiancee to the USA? 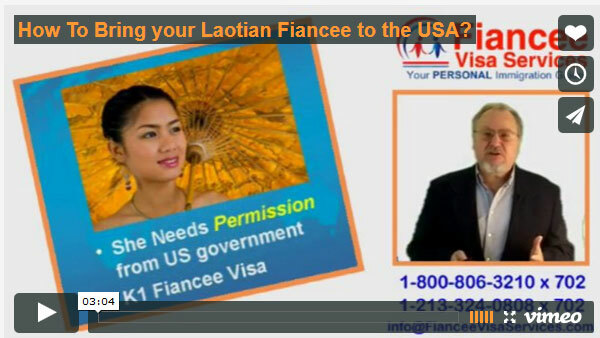 Your Laotian Fiancee needs permission from the US government to allow her to enter the USA. 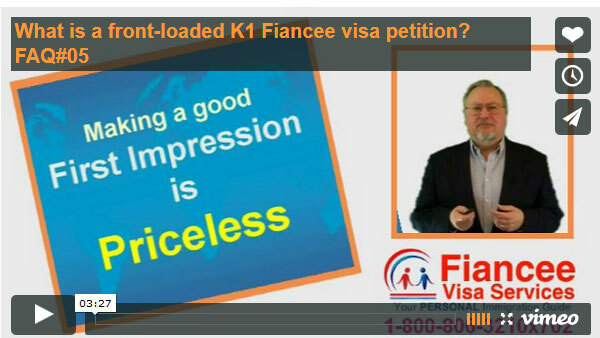 This is called a K1 Fiancee visa. Fiance visa applications are held only briefly at NVC, just long enough for NVC just long enough for NVC to assign a Vientiane case number and forward your file via diplomatic pouch to Laos. Once her petition arrives in Laos, the consulate will contact your fiancee advising when they have scheduled her interview. Two weeks before her interview date she undergoes a medical exam at one of the two approved Medical clinics either in Vientiane or Udorn, Thailand. Finally she attends the visa interview at the consulate in Vientiane, to demonstrate she is of good moral character and the engagement is Bona fide. I guide my clients through the whole process, starting with strategy to help you ANTICIPATE what the consulate you are dealing with wants, helping you to plan trips, and collect evidences, from a personalized, detailed "kitchen sink" document and photo check list, to preparing an AWESOME petition that because it is complete, and thorough, and well organized, and tells your story in the most believable way, paves the way for your Fiancee to have a sucessful AND pleasant interview. Not only do I prepare the intitial petition, but I ALSO stay with you all the way through the time we wait for USCIS to approve, providing guidance on police certificates, vaccinations and interview questions, then in the final run-up to the interview, show you how to schedule the earliest appointment and lastly I upload to your Personal Homepage, completed forms for your Fiance(e) to sign to take to the interview at the US consulate in Vientiane detailed instructions on obtaining chest x-ray and blood tests at the Australian Embassy Clinic in Vientiane or the North Eastern Wattana Hospital in Udorn, Thailand, paying the visa fees, obtaining Police Certificates, the "Criminal Record #3" , "Bai Cheng Thot #3". Issued by the President of the People's Court of the Province (or the Vientiane Municipality) where she resides, details on exactly what needs to be done, what you and your Fiance(e) should do to prepare for the interview, a list of 120 most likely interview questions for you to practice, a completed affidavit of support for your signature.